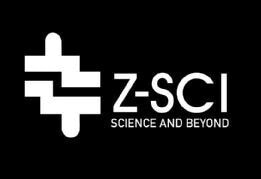 Z-SC1 developed our Table Top Freeze Dryer combining ultra low temperature freezing technology and vacuum drying technology. Z-SC1's Table Top Freeze Dryer will be your reliable partner for your research and development with focus on convenience within a user friendly machine. Designed for efficient and fast freeze drying. You will fine the ultimate convenience for freeze drying. Automatic freeze drying process is executed while condenser freezes below -80ºC, preventing vacuum pump from any chance of moisture mixing. For specific materials, manual control allows in depth monitoring and observation throughout the freeze drying process. Equipped with Power On Off S/W, Mode select S/W between automatic and manual, Condenser freezing S/W, Vacuum Pump S/W, Purge S/W, Pre Freezing S/W and concentration System S/W. With ingrained experience and expertise, single compressor auto cascade refrigeration system provides fast pull down and strong performance without any trouble from user environment. STS (stainless steel) drum type condenser keeps cold trap temperature below -80ºC and collects moisture with uniformity. Condensing process is visually monitored. Even acid containing material is safe from corrosion. Acid resistant pump is recommended. Hot gas defrosts condensed ice on the trap within 30 minutes, then drains. Cleaning is easy with any soft fabric. With 2 stage controllable gas ballast valves, oil back flow is prevented. Suitable for high throughout. Dual mode supports high vacuum application. Menu window for parameter set up, manager information, operation status and alarm events. Security control by password available. Automatic/manual selection and all parameter values can be controlled. Drying process and lead time are displayed. Engineering parameter setup is available by authorized manager password. Shell freezer provides fast refrigeration down to -40ºC by a powerful cooling system. Specially designed rotary system disperses the sample with uniformity for efficient drying result and shortest process lead time.